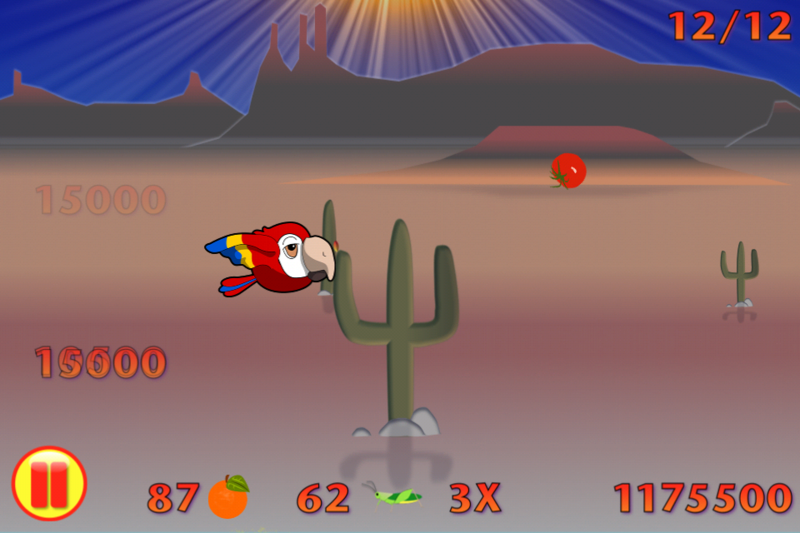 Join Birdie Mac in his adventures! 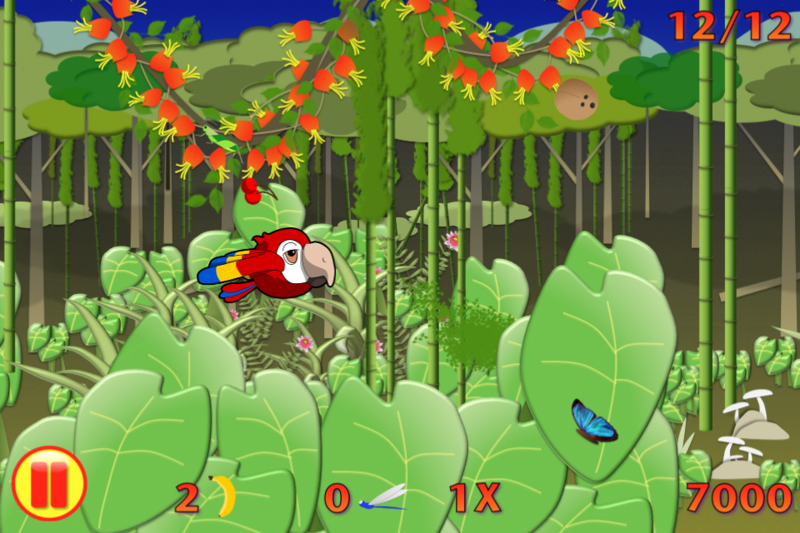 Birdie Mac fell prey to poachers in South America, and has managed to escape from a pet shop! He now begins an adventure to reunite with his family in the rain forest. He's a "Free Bird"! However, he must first find enough food to sustain his journey home. Help Birdie Mac keep his strength up with flying insects, squishy fruit, and, YES - double-scoop ice cream cones! He's determined to do what it takes to reach his mate and their little ones back home. 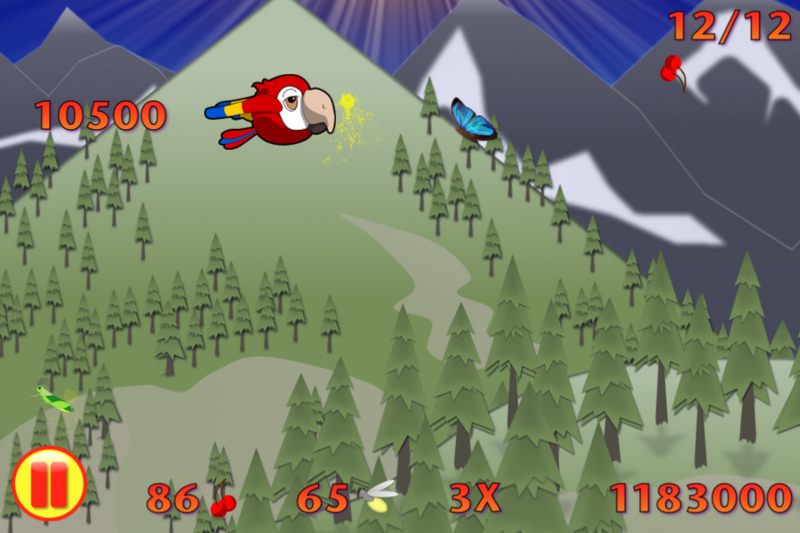 Freebird: The Adventures of Birdie Mac is tons of fun for all ages. There's up to two hours of video game action with multiple levels in each environment as he gobbles his way home. Watch out... flying food has never been so addictive! Field tested on iPhone 4S, iPhone 4, iPhone 3GS, iPad, iPad2 and AirPlay with AppleTV.